This is a personalized card for my sweet Aunt Max. 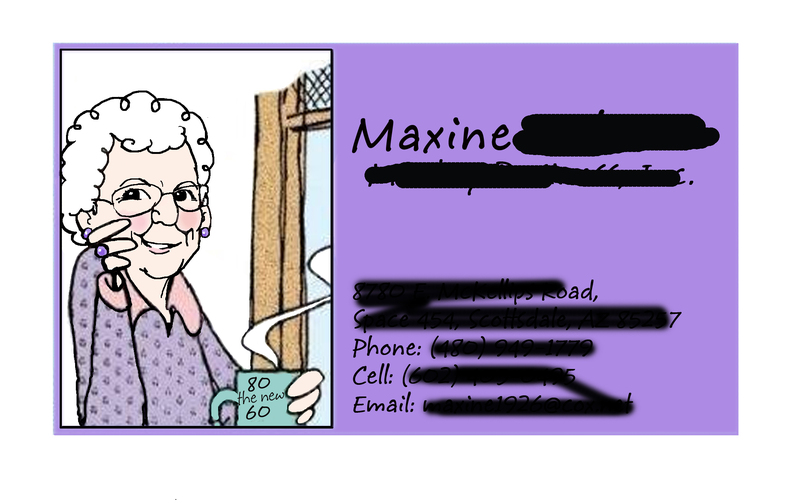 She loves the Maxine cartoons and her name happens also to be Maxine. I drew a caricature of her in the Maxine cartoon style and added all of her info. It was all my creative cousin’s idea and she’s having them printed up. Can’t wait to see how they turn out! Shhhhhh….it’s a surprise for her birthday.